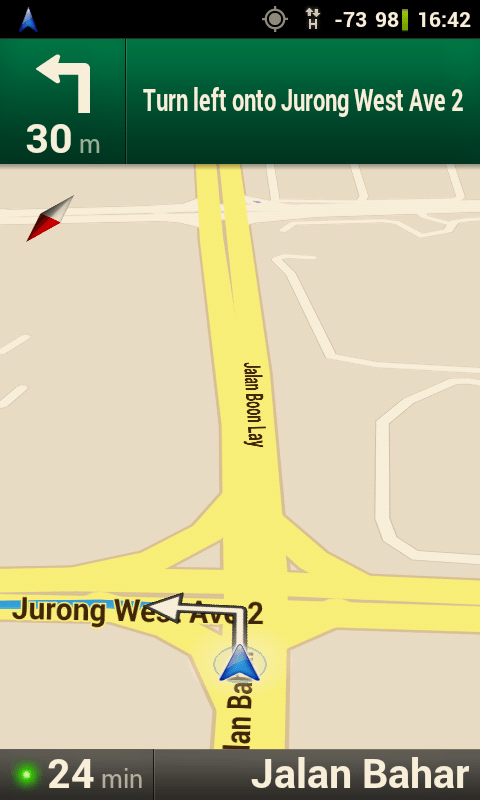 Google Maps Turn by Turn Navigation is one of the best features of having an android phone. It can navigate to any location that you can identify in Google Maps, has turn by turn voice instructions including street names, live traffic updates, street view and its one of the best app for an in-phone GPS. The live traffic updates and street view are but two features that commercial GPS would find it hard to match. The deal breaker for some is that requires a data connection to operate and there isn’t an offline navigation feature yet. Update: For Singapore users, rejoice, Google Maps Navigation has been enabled in Singapore. In Titanium Backup, select Maps and make a backup. Select Maps and wipe data, then uninstall. Select Street View and wipe data, then uninstall. If that doesn’t work, use the ClockWorkMod zip file and install it through CWM by rebooting your phone into recovery. If your phone is non-rooted, then you can use an older version of google maps with navigation enabled. This will add a separate set of google maps, navigation applications to your phone and they can be recognised with a small circle embedded in the corner. You can use the turn by turn navigation by launching the alternative app. Good luck in enabling this very useful feature on your android phone. If you still have problems, our last alternative for you is: Waze! It has become quite popular in the US and while the social aspect of it might still be lacking in Singapore, it is an easy and convenient way to obtain turn-by-turn navigation on your phone. My first choice is still Google Maps though, for the integration, features and ease of use it brings to the Android OS.